This album features the hit tracks from the legendry Kaka Bhaniawala. His contribution to British Bhangra over the last 10 years has been phenomenal. With so many hits he has become a legend in a very short time. 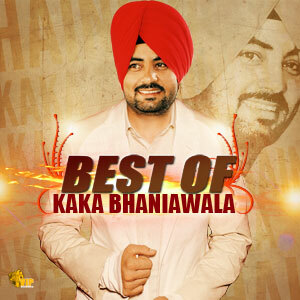 Best of Kaka Bhaniawala is a collection of some of those hits taken from the VIP Catalogue. Kaka Bhainiwala has a great voice and will stay in our hearts for ever. May god give peace to his eternal soul. bhainiwala Rocksssssssssssss!